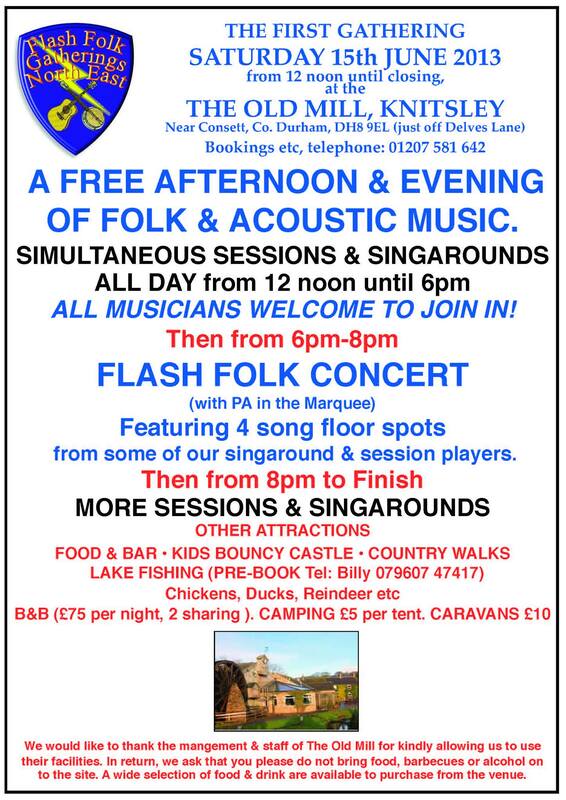 Free 8 person bunkhouse accommodation on site. UPDATE! 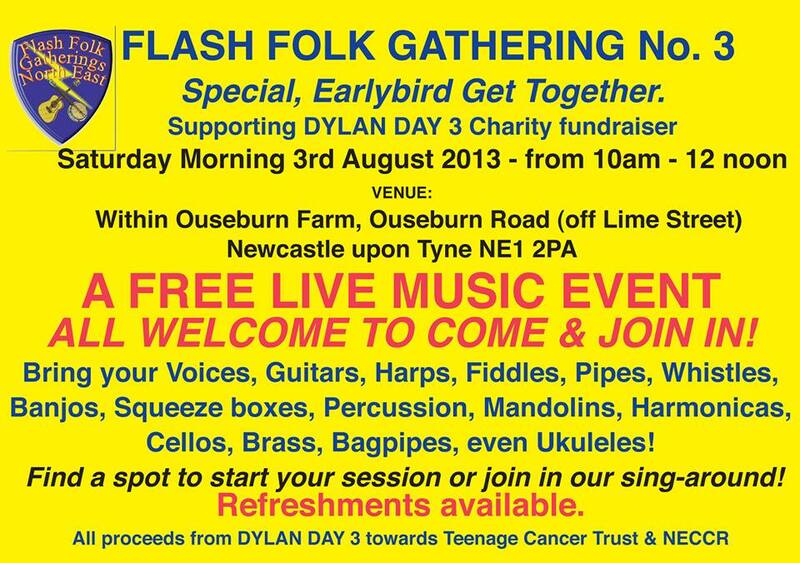 The Flash Folk Gathering will be in a room in the Ouseburn Farm building, next to their cafe. Light refreshments available. 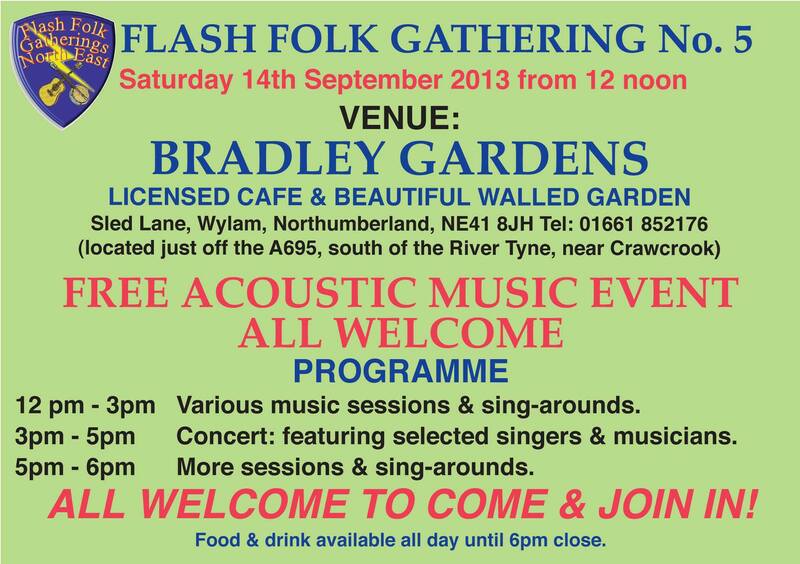 All welcome to come play or listen. “We are all set to go on Saturday, hopefully the weather will stay fine, if not we have a very large marquee and a room to use in the Old Mill. 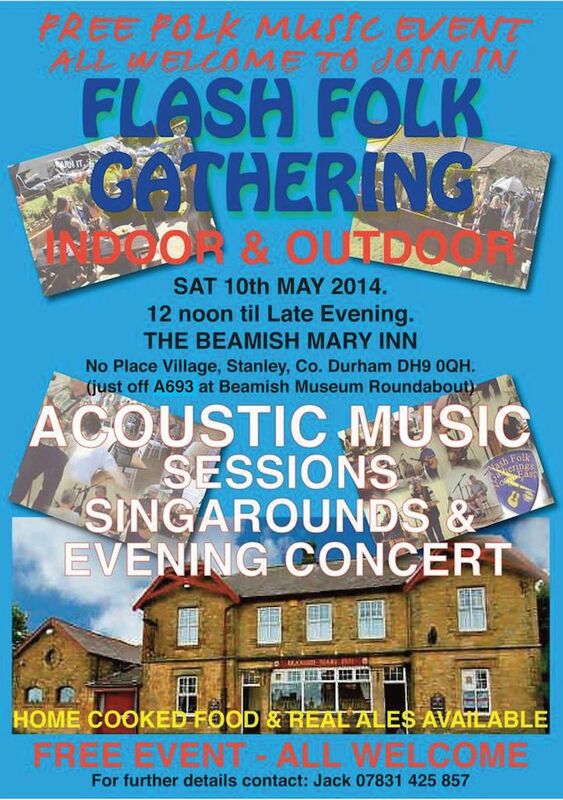 Jack and Mike will be there early to set up for a 12 noon start. 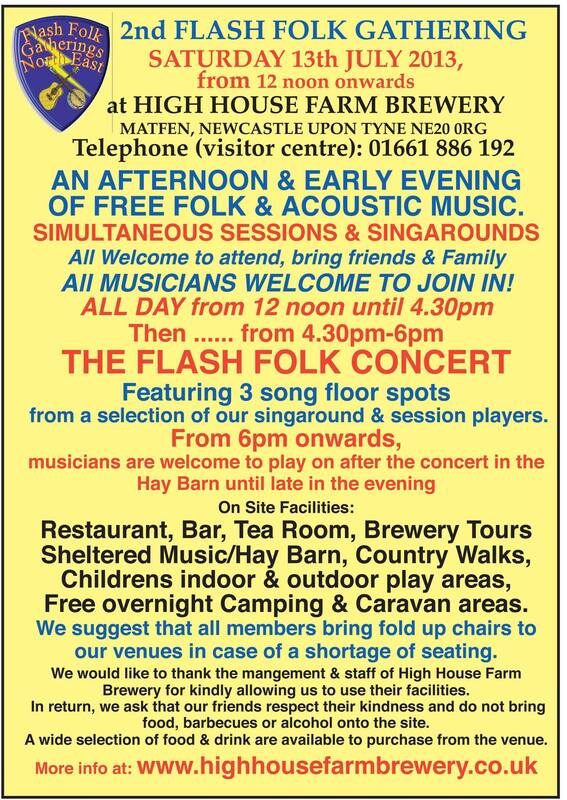 We would like to encourage musicians to form small groups around the grounds of the Old Mill so that everyone gets a fair opportunity to perform. We would also hope that no one gets too precious about their music, and invites others to join in. Don’t forget to tell them what key you are playing in. 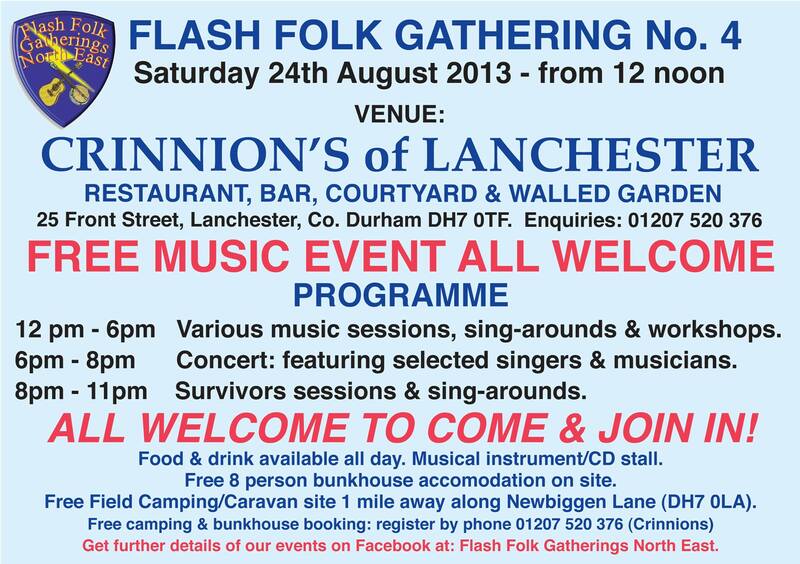 All abilities welcome, just join in if you can, or give us a song or two. It’s as much about meeting other musicians as it is about playing music. 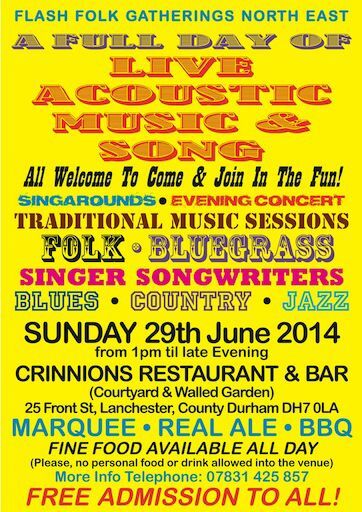 A musical Social if you like.